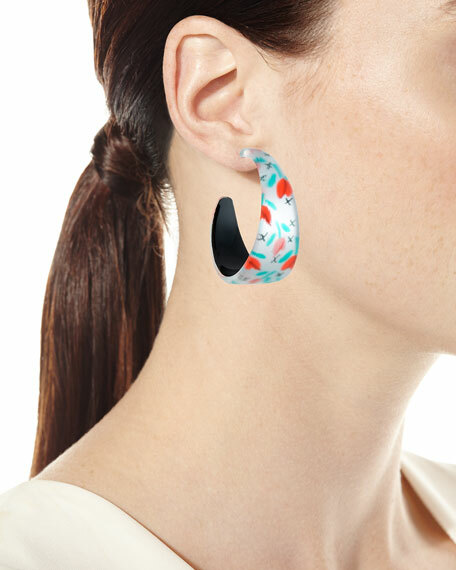 Tulip-print wide graduated hoop earrings by Alexis Bittar. 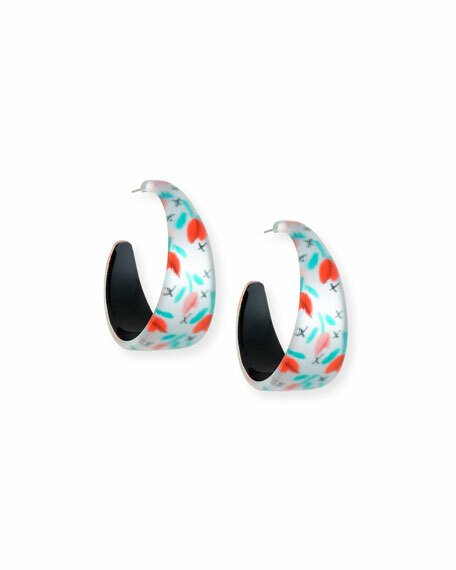 Graduated wide hoop with tulip motifs. For in-store inquiries, use sku #2572770.